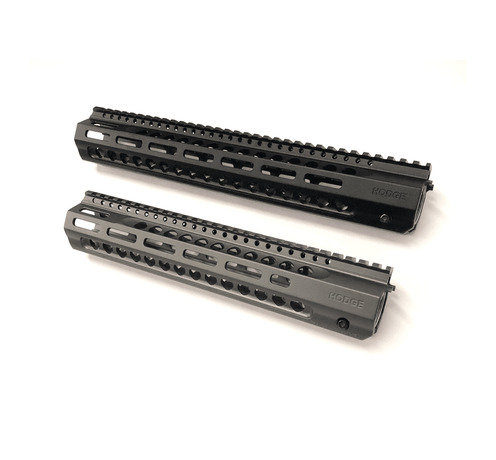 The Hodge Defense Pinch Lock Rail was developed to meet specific needs, using the concepts of the Wedge Lock rail and simplifying the manufacturing process to achieve a strong, streamlined rail an affordable price. Machined with M-LOK slots on three sides, with two fore-end slots at the 1 and 11 o'clock positions for light mounting, the Pinch Lock Rail is offered through only a few limited distributors while supplies last. • Internal Diameter (ID): 1.3"